Actually i'm working as Data Inventory Specialist dealing with different marketplaces such as Amazon and Ebay using different platform like Linnworks, MIP and MS EXCEL. A...Read moreActually i'm working as Data Inventory Specialist dealing with different marketplaces such as Amazon and Ebay using different platform like Linnworks, MIP and MS EXCEL. 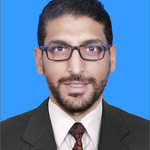 A native French-Arabic speaker holding a B.A in Computer Sciences and a M.A in Computer Systems engineering, I am able to provide excellent ebay and amzon management ,French to English or English to French translation and proofreading on a wide variety of topics, always focusing on a clear and easy to read style.